Nick doesn’t have a gym membership, and he doesn’t typically have a lot of time in his busy day to fit in a workout. Instead, he’s got Metro, and Nick is able to take advantage of one of the unique benefits of being a transit rider. When Nick’s commute starts each morning, so too does his exercise routine. He hops on his bike in the Central West End neighborhood and rides to the new Cortex MetroLink Station. From there, he boards a Blue Line train to Clayton, where he gets off the train and hops back on his bike to head to work. In addition to living a healthier lifestyle, Nick also enjoys the civic pride that Metro Transit provides. 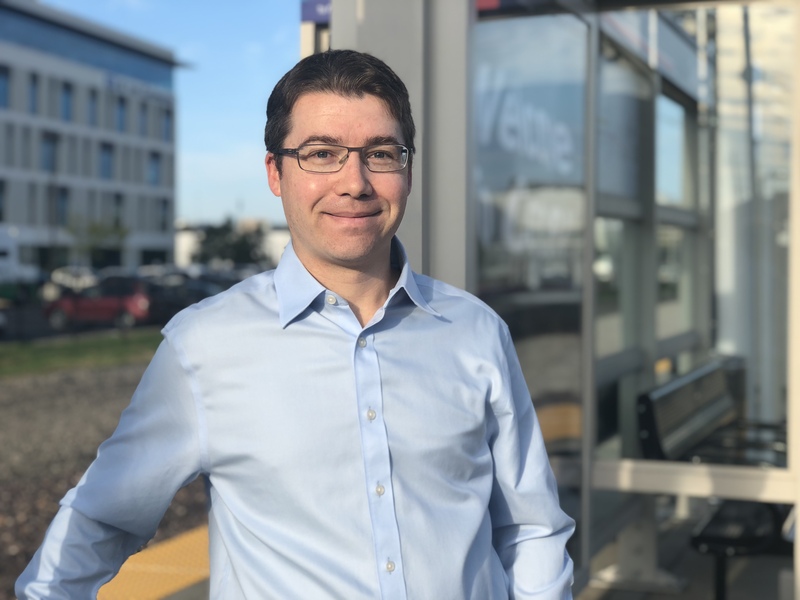 If you’re new to Metro Transit or haven’t been with us lately, Nick recommends giving it a try. “It’s important to recognize that it’s possible to get around St. Louis without a car,” he said.